I ordered them on recommendation from a friend from moo.com. I had no idea when I ordered them that they would come in multiple colors (I though I was just getting the teal), but it’s a nice surprise. 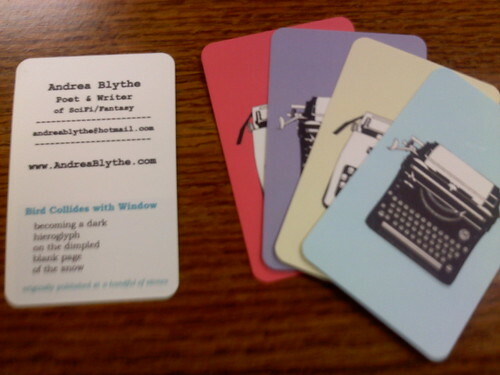 ^_^ If you can’t read the card, because of the crappy cell phone pic, is says: Andrea … Continue reading "I got my new business cards in!"